HELLO EVERYONE - I HOPE THIS FINDS YOU WELL! If you were a client in the past, are a client now or are a lucky future client; this applies to you! Kreate Photography recently partnered with Basic Invite. My goal is to help my clients have access to affordable, yet high-quality resources for their paper goods + stationary. Photographs are meant to be shared and this will make that much easier (and cheaper) for you! It is pretty simple. If you are a client of mine - you have access to 20% OFF sitewide, for anything you need. Basic Invite offers an array of clean, unique and high-quality print products. 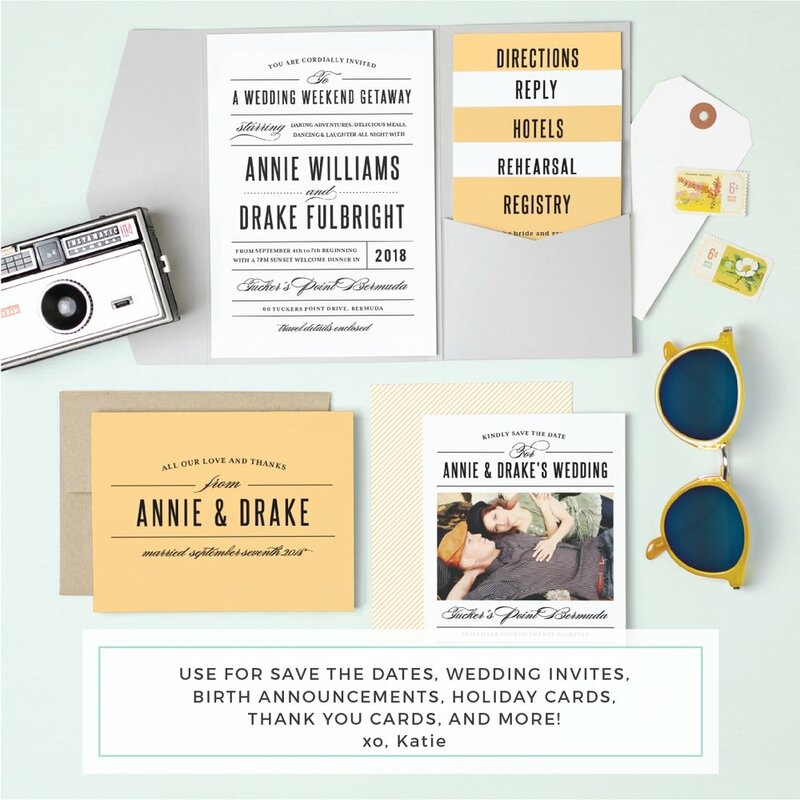 Aside from wedding related products, you can find a variety of thank you card templates, birth announcements, holiday cards, party invites, business card templates, stationery, and printables. You are more than welcome to use this code for personal use, or business (Thrive Session clients, this shout-out is for you!). GO TO BASIC INVITE, DESIGN & USE MY PROMO CODE AT CHECKOUT!